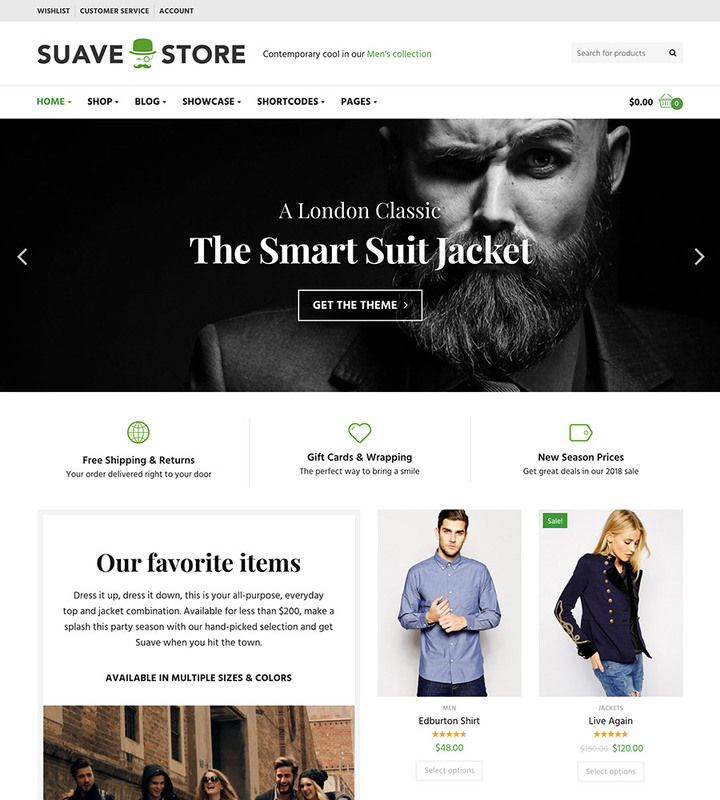 Suave is a beautiful WordPress and WooCommerce theme that personifies sophistication and panache. The theme includes WPML support so you can comfortably set up a multi-lingual site which accepts multiple currencies. It’s easy to quickly recreate a website similar to our demo site in minutes using the theme’s one-click installer. With Visual Composer and LayerSlider all the tools are at a customer’s disposal to build a great eCommerce site. Don’t waste hours reading manuals to get up and running – get a website built faster so you can start selling today. The default product listings grid is gorgeous with crisp product images. There is an easily customizable sidebar where you can add widgets. These include categories, price filters and top rated items. Suave is fully compatible with the leading SEO plugin on the market, Yoast SEO and passes Google’s Structured Data Testing Test Tool. Plus, when you do need help we’re here for you. Our customers rave about our world class support team. I've spent MONTHS looking for a good Woocommerce theme for my site, and while there have been some fine releases, nothing has really fit the bill. This one just knocks it out of the park: Looks awesome, has great content and features, and - vitially - STELLAR support, which is absolutely crucial when you buy a theme.